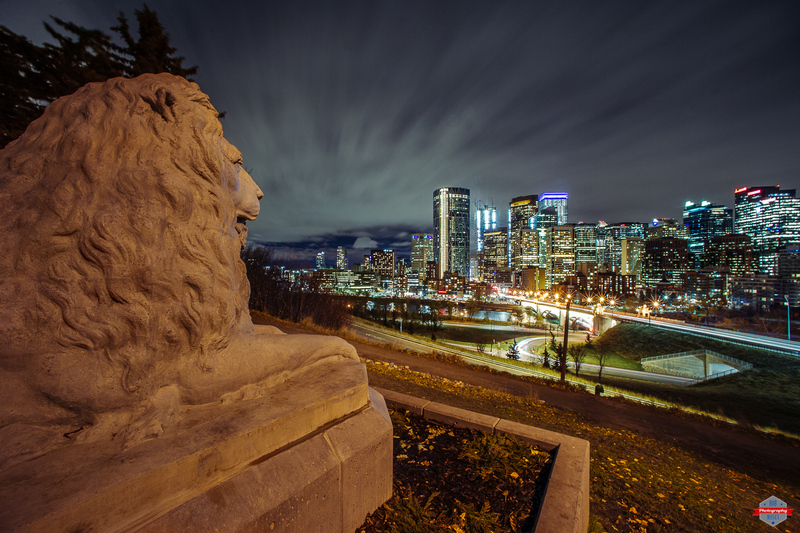 I knew this new lion statue was put up at a park near my house in Calgary, but I hadn’t got around to going to check it out. Last night I had a late night engagement to attend so I thought I might as will head out a little early and see if there were any good photos to be had at this new lion. I think this angle gives a pretty good perspective of the scene and I am happy with the shot. When I shot this photo it was pretty dark out so I couldn’t read what the plaque about the lion said. Whatever the lion is there for, I like it! This entry was posted in Architecture, Cities and tagged 14mm, Alberta, apartments, architecture, Art, beautiful, big city, bow river, buildings, Calgary, Canada, Centre Street Bridge, city, City Life, condos, D3s, D800E, downtown, explore, Gotham, inner city, lights, lion, long exposure, metro, modern, night, night life, Nikon, photo, Photography, pretty, prime, Rotary Park, sky, Skyline, skyscraper, skyscrapers, statue, street, ultra wide, uptown, Urban, wide angle, windows, yyc. Bookmark the permalink. I like this, too, Rob. It’s like he is overlooking his kingdom. Beautiful shot. Nice composition and you got the light just right. Bravo! great shop Rob; the lion is one of the original lions take from the Center St. Bridge when the bridge. When it was refurbished new lions were made and then this one was restored and place here. There is another of the restored lions at City Hall. What a fabulous frame, Rob. Glad you stopped by.. I’m liking your work! Best, Robert.